Do you want a leaner, stronger body loaded with muscle mass? Want to overcome the exercise blues and push yourself to ultimate muscle growth? Muscle is gained through exercise and resistance training. It makes you more attractive to the world in general, and is a global sign of health and vitality. But you need more than just bench presses and machine reps to build real muscle. You need motivation, determination, commitment and drive – or all that muscle will simply fall away. 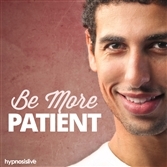 There is an easy way to beef up those muscles – and it’s called hypnosis. Enjoy Bulging Biceps & Fabulous Abs! The Gain Muscle Mass hypnosis session will help you turn your body into a powerful and tight mass of pure muscle! As you listen, special NLP and hypnosis exercises will work to reprogram your mind, helping you find the confidence and discipline to exercise regularly. You’ll eliminate hesitation, power through tough days, and create new habits that drive you to work out and tone up. You’ll eat and supplement right, building muscular strength and a leaner body from the inside out. 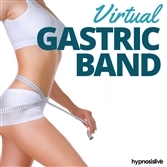 Download the Gain Muscle Mass hypnosis session now to make building a muscle-laden body an absolute certainty.